You can never have enough Legos in your bowl. Or at least in our bowl. Luckily the internet keeps filling it up. 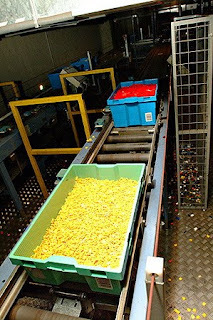 Slide show of how Legos are made.